This article was very interesting and I completely agree that every consumer has the right to know what is in their food, especially if the products can cause health problems. Labeling food products will cause consumers to identify and if needed, then not purchase such products that can lead to problems. However, there are issues as to why there has not been an implementation of such mandatory labeling which not only involves expense difficulties on industries and other consumers, but also other technical issues such as what foods and crops are considered genetically engineered (how do regulators decide) and how can labeling effect the economy overall. So yes, there is a lot to be considered, however, I think GMO products should be labeled no matter how much GE ingredient is present in the food. It is up to the consumer if they want to purchase it or not, because in the end, our health is the most important thing and everything else can be altered around it. As a consumer, I would like to be well informed of what is in my food. I think it would be especially helpful to parents to know, so they can prevent feeding their kids and consuming any products with GMO’s. Like they said, who knows what it is really linked to in the long run. I believe a well informed person is a smart person for sure. Products like poultry, meat and produce should definitely be labeled, because we already know some of the processed foods have a high likelihood of having GMO’s. People are becoming more and more conscious about what they eat today, and I think it is a great idea to have companies label what is GMO, and what is organic. 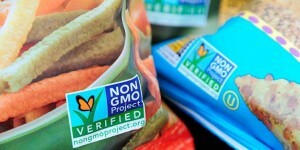 It would force more companies to switch to organic, since they would not want to be labeled GMO. Monsanto only wants to look out for themselves, and it’s time the consumer demands change. I want to be aware of what’s in my food, and I think it’s about time we push this to the government. If GMO’s aren’t bad, then Monsanto should have no objection to putting the labels on their products. As a consumer in this industry, I must side with the argument that we should be informed of all ingredients and warnings pertaining to any food we consume. Not to be severely speculative or sound like a conspiracy theorist, but I am not too sold on the fact that GMO’s are completely harmless. Nonetheless, I am still a consumer at heart, and would probably continue to buy many products I love without any consideration of their modification. Many of these companies should be fearful for what this means, however it is for the greater good (I hope). Although they may have to alter their recipes, systems, and ultimately organizational structures; it will hopefully reduce risk. The consumer should be free to decide what risk he/she wants to bear. If you want to pay X amount of dollars extra for that (organic food) you should be free to do it. For the safety of its consumers, I think corporations should absolutely provide labeling. But I don’t think it’s the government’s job to require information from corporations. The government’s job is to provide courts of law in which corporations that deliberately conceal information that is relevant, can be sued for fraud and be made to pay very heavy expenses. People should be free to decide on how much they are willing to pay for reducing the chances of physical harm. If you look around you will notice that people are not willing to pay very much. For example, when I walk out of the DePaul Center I see people on all sides of me smoking. No one denies that this will increase the chances of their death. I’m not saying that they shouldn’t be free to smoke, I just think they are fools to do it. The same is said towards genetically modified foods. Agreeing with all the other comments above, a consumer has the right to know what is in the food they’re eating and what it does to their body. I am a very health conscious person, and even when buying fruits, I remember what I was taught in my bio class, freshman year of high school. My bio teacher told us about how they genetically modify a tomato and there would be fish involved in it. When I’m buying healthy foods like fruits and vegetables, I want it to be real and organic and not fake with fish or other random things in it. I’m the one who has to pay for it and I’m the one putting foods in my body so I deserve to know if its GMO or not. Interesting post. If consumers are demanding the food to be labeled, then businesses should follow customer’s demand. My only concern with labeling food is that big companies have enough resources to go around the labels and find loopholes. This, in turn, will drive small business out of the market and contribute to the monopoly. This is an absolutely interesting and engaging post. I agree with the comments above that as consumers, we should have our foods labeled because we need to know what we are eating. Also, people are paying for it, so we have the right to know what our food consists of. However, it is also significant to understand that poor farmers in underdeveloped countries rely on growing genetically modified foods. Genetically modified products are cheaper for these farmers because they yield more fruits and grains than non-GMO crops. Also, competition between these farmers is fierce, one has to get his/her products in the market faster than the other competitors in order to gain advantage and make money because as the proverb goes “the early bird catches the worm”. Some of the genetically modified crops also do not need pesticides, so these farmers could save some money and plant more crops. Nice post, People really want to know what they are eating and what goes in there food. Especially when you buying food for kids you have to be really careful on what goes in the food. Now this days people are getting more aware about what type of food to buy, what goes in there food, and from where to buy their food from. Like people are going for organic food and in the market is more demanding. I know is expensive but end of the day is good for your body and is healthy. From what I learned and understood from another class. Our society is very simple we are ran by huge corporations who then support political influences which then pay for our “research” done at well known Universities to tell us stories of what their findings have been so they can influence us. This article nailed it, the corporation that is behind this is paying for scientific research which tells us everything we want to hear about the product being safe. If they did otherwise that corporation would lose out on money, it is not in their best interest to tell us their scientific research says it is not safe to eat their product. Your post made me think about what we are eating in today’s world. Yes, defiantly consumer has a right to know what ingredients are in products. Sometimes we do not even know what we buying, where is it from, how it is process and packed. Consumers have to look closely on labeling information, and labeling should provide with information that consumers are looking for. People consume the high amount of calories that might hurt us but I believe processed foods and refined foods hurt us even more. Consumers have more access to any kind of food in these days. Now, I can think back of middle 80’s where my parents just couldn’t get to store and buy bananas or oranges because there weren’t on the shelves. Moreover, the meat that we consumed was from the animals that we were raised, so we knew how the meat was good. Nowadays, meat is modified and not only meat. I believe, consumers should reduce the consumption of meet and there are many good reasons for it. Yes, I think that products should be labeled GMO because every consumer has a right to know what he/she is buying and paying for.